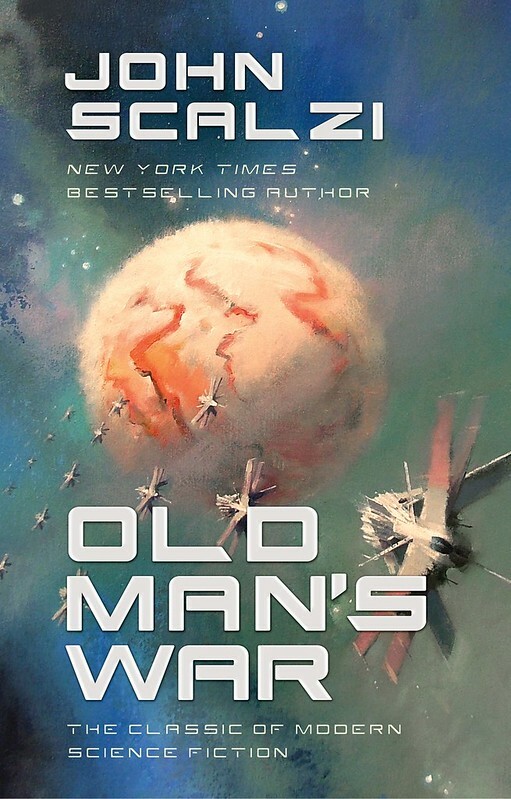 Today Tor Books is releasing Old Man’s War in a spiffy new “mini”-format hardcover edition: All the benefits of a hardcover book, miniaturized for your convenience! It’s available at your favorite bookstores in the US and Canada, and it’s no coincidence that it’s being released just prior to the holiday season. Stocking stuffer, my friends, and/or a nice little gift for, like, day four of Hanukkah. But you don’t need to wait for the holidays to get it. You can get it today. For yourself! And pick up several copies for friends! Distribute them like Pez! It’s the Covandu version of OMW, if you will, and if you get that joke, thank you for being a fan. I’m delighted at this new mini hardcover of OMW because, among other things, the original hardcover run of the book, almost thirteen(!) years ago now, is actually pretty small: about 3,700 for the first printing, and about 7,700 overall. OMW really took off in the trade paperback edition a year after the initial release. As a result, the hardcovers have always been hard to find — great news for collectors, to be sure. Not so great for anyone else. So, dear everyone else: This edition is for you. Enjoy! We live in the woods, and that means, among other things, we have the crappiest internet service in the state*. People in town rely on a mish-mash of solutions. Ours is a T1 line. It’s slow (1.5 Mb up/down), and when it drops it drops for days. There’s nothing quite like the sensation of seeing Netflix give up the ghost, and then pulling up your web browser to see that progress bar just…stall. It amazes me how much I’ve come to depend on the net—not just for news and cat videos, but for a sense of connection to the rest of the world. When the line goes down, it’s so easy to imagine there’s nothing out there at all anymore—that the silence will go on forever, and we’ll sit here alone in the woods, never discovering what’s happened to the rest of the world. Within my lifetime, society has become dependent on instant communication. Breach Of Containment is set roughly a thousand years in the future, where we’ve colonized a (still pretty damn small) part of the galaxy. Despite the distances, everything is elaborately connected. In addition to a network of government and military communications channels, all monitored and encrypted, there are entirely unregulated data streams over which both reliable and unreliable information fly unfettered. Most of my characters live aboard Galileo, a military starship, and they’re never disconnected from the officers giving orders. Neither are they ever free of consequences when they get creative about interpreting those orders (which happens far more often than it should). At one point, as I was assembling this book, I thought: what if all that gets cut off? What if I dump them in the soup, and sever their access to intelligence, orders, even news of their families? Structurally, that idea both simplified and complicated the plot. 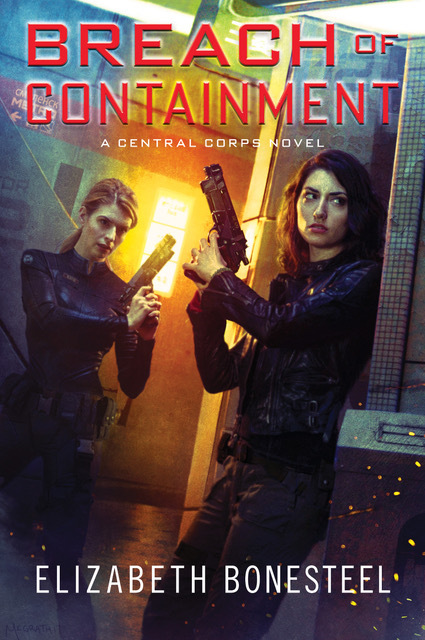 Breach Of Containment is, in many ways, your traditional are-we-preventing-or-starting-a-war adventure story. Galileo is working in an atmosphere of uncertainty and deceit at this point: some of their orders are legit, some are distractions designed to keep them out of the way of internal government intrigue, and they don’t always know which are which. When the communication channels back to Earth are lost, it suddenly stops mattering which commanding officer is trustworthy and which is a seditious traitor. Losing communications meant my characters didn’t need to waste time figuring out whether or not a bunch of tangential folks we don’t care about are on the right side or not. But severing communications also let me play with people’s heads, and it’s no secret I love the messy character stuff. I’ve got three principals at this point, and Breach Of Containment begins with all of them stretched thin. Elena, formerly Galileo’s chief of engineering, has been out of the Corps for a year, and is feeling rootless and without purpose. Greg, Galileo’s captain, has been dutifully following orders, but is feeling less and less like his years of service have resulted in making any substantive difference for real people. Jessica, Greg’s now-seasoned second-in-command, sees most clearly the tightrope they’re walking between following potentially erroneous orders and dealing with a massive conspiracy that is almost certainly beyond their ability to stop. Basically, I made sure everybody was tense and cranky, and then I cut their T1 line. When you have no news and you can’t Google, how do you make your decisions? Here in the real world, I didn’t have a smartphone until last December. (I’m not a Luddite. I’m just cheap.) Since then, the T1 outages have been far less unnerving. It’s comforting to be able to check Twitter and verify the outage isn’t part of some apocalyptic event. Sometimes I’ll even waste some data on a cat video. But every time, in that few seconds before my Twitter feed comes up, I feel that disorienting sense of being unmoored from the rest of the world. It’s not a great state of mind in which to make important decisions…but it’s not a bad catalyst for a plot.